Like many workers, you probably spend some of your time at work thinking about not being at work! If that’s the case, how do you go about requesting time off in a way that works for you, your boss, and your team? We’re glad you asked, because here comes the SaneBox scoop on the best way to email your manager to request time off. Look at the various options you have for taking a vacation or other paid time off. If you’re not just restricted to specific dates, get a collection of possible start and end dates together. The more options you have, the better it will be for you and your team. The most important consideration for your boss when granting time off is checking your team can still run effectively. Check any vacation or holiday schedules and talk to colleagues about any time off they’re planning to take. Find dates that work without leaving the team shorthanded. Make sure you have a deputy or colleague in place who can carry out your key responsibilities while you’re away. If they haven’t backfilled for you before, make sure you provide them with the necessary training, resources, escalation routes, and contacts to fill your role. Work a little harder in the weeks leading up to your vacation so you can get ahead on your workload. That will make things easier for your team and boss, plus it ensures you’re not coming back to a massive backlog of work. Don’t email your boss asking for vacation time during the release of a vital project or during a stressful period. Instead, wait until the culture and mood of the office is a little more relaxed. They’ll be more receptive and more likely to give you permission. The more notice you can give when requesting time off, the better. If you can give a couple of month’s notice, even better! Really, the more lead-time you give, the more likely you are to get permission. When you’re asking for time off, let your manager know exactly where you are with all your work. Give them a status update and inform them of any questions or possible concerns or issues in your absence. In the subject line put “Request for time off” and the dates. State that you have spoken with other team members about their vacation plans and that your time off won’t lessen the effectiveness of the team. State who your deputy is and let your boss know they have the training, skills, and expertise to handle any questions in your absence. Let your manager know about the status of any outstanding tasks and any tasks you are ahead on. Request time off politely—remember your boss has to grant permission, so don’t be demanding! Let your boss know that you’ll email whoever needs to know about your vacation plans. Tell your boss that your workload is being handled by others and that it won’t end up with them. Send an email to anyone who will be impacted by you not being in the office. Let them know when you’ll be away and tell them who they need to contact in your absence. Before you take your vacation set your out of office email. Let people know who they should contact in your absence, and when you’ll be returning to work. 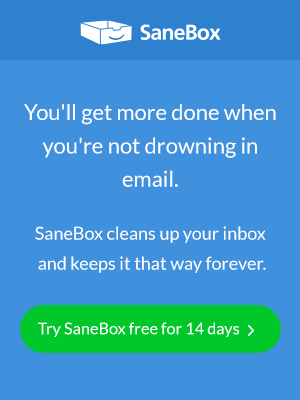 Here at SaneBox, we’ve got a whole host of tools designed to make managing your email easier. From automatically forwarding emails to your colleagues, to smart filter rules and reminders, we’ll take away any stress so you can relax into your vacation. Follow these tips and you’re much more likely to get a “yes” next time you request time off. And when you’re sunning yourself on the beach, sipping a Margarita, spare a thought for those of us still daydreaming. Thanks!